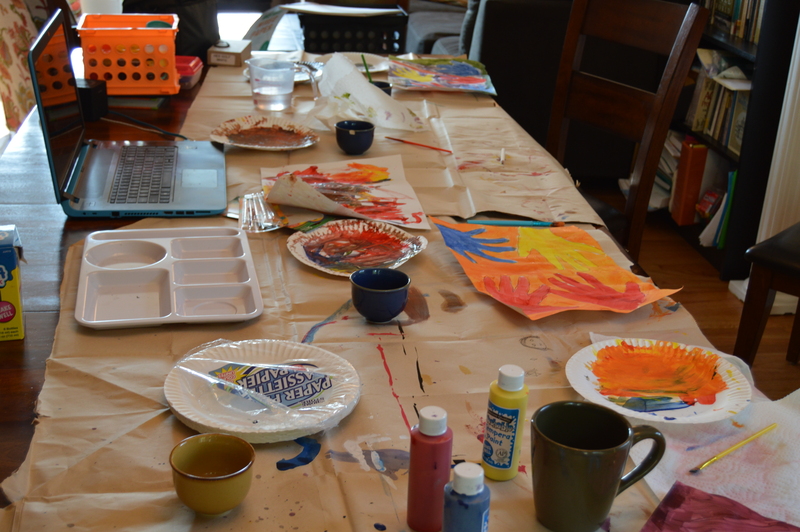 Painting in PJS: Our 1st Art Class – Happy. Homeschooling. Housewife. I love art, and all the forms she expresses herself. Being honest, I am not a visual artist. Actually, my self-confidence in my self expression through paints, pencils and crayons pretty much was squashed after my 2nd grade teacher squinted up her nose at what I was sure to be my best picture yet, a caveman by a tall tree with flowers. Well, needless to say she didn’t see the cave, the man, nor the tree. So when the responsibility fell into my lap to somehow figure art out for my girls I felt discouraged. I knew I want them to experience fun and freedom and self-expression with art. Niara loved the paint on her hands! I also want them to learn about art history and the craft itself. Lela painting in her hand. After several years of trying different approaches that didn’t work, I think we have finally found something that does. Lourdes happy as can be! This morning, when the girls woke up I told them they could stay in their pjs. After breakfast I set the table up with all the supplies needed to do the first lesson in the Home Art Studio program (a dvd art class). Our first lesson was about primary and secondary colors. 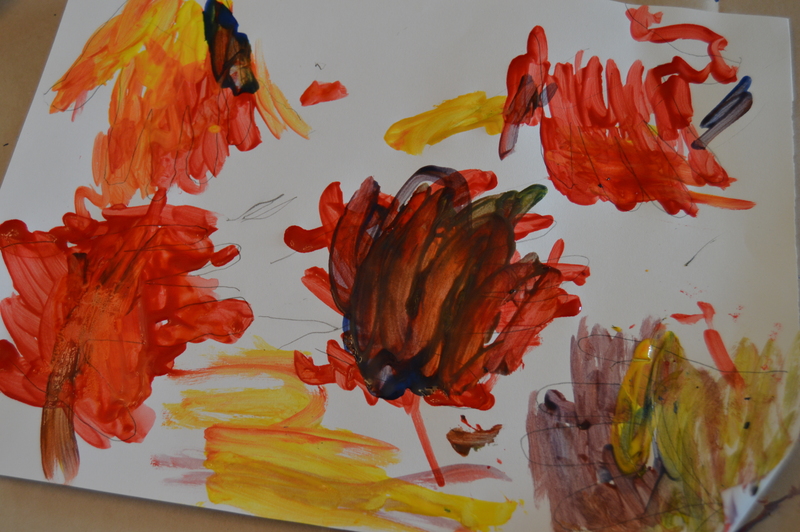 We created Hand Paintings. We loved the lesson and so enjoyed painting together. I was able to start and stop the video as needed and the girls said they really liked their art teacher. What pure fun it was to hang out with my girls in the morning, chatting and letting our creative juices flow. I simply adored all the masterpieces! If you are looking for an easy art program check out Home Studio Art. We are doing level 1 , but she has several levels. Share your creations, I would love to see what you and your kids make! Previous Plant Cell Cake Project, So Yummy!